Tropical rainforest plants grow in more obvious layers than temperate rainforest plants. Central and South American rainforests are the largest rainforests in the world. And they contain the largest amounts of plants in the world. Every tenth plant on the Earth is found in Amazon rainforests. 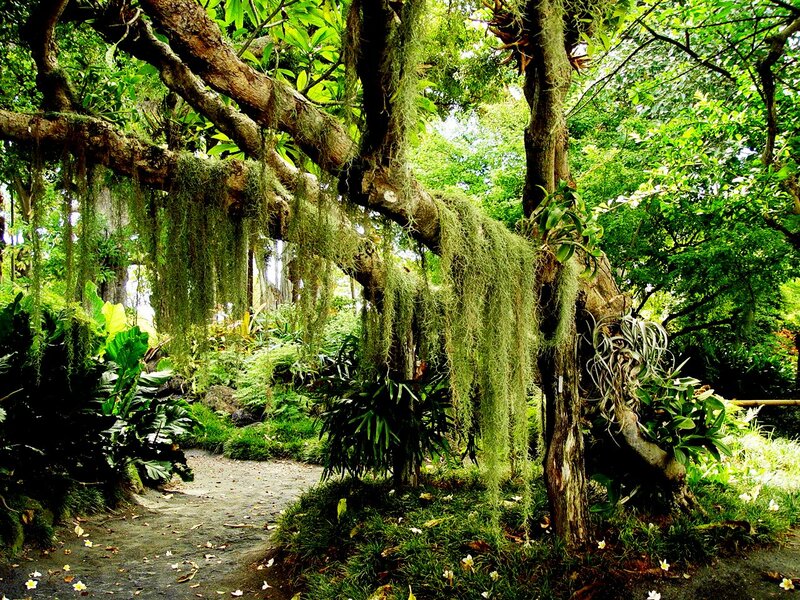 Like in all tropical rainforests, there are the tall trees, vines and epiphytes, shorter trees and tree ferns, and orchids and other smaller plants on the forest floor. Some more famous examples are the bird of paradise flower, the giant lilys, and the carnivorous pitcher plants. African rainforests are the second largest in the world after Amazon. These rainforests are known to be relatively poor in species, considering they are (such large) rainforests. There are evergreen, semi-evergreen, deciduous and semi-deciduous forests. One classic African rainforest plant is Parasol tree (Musanga ceropiodes). Madagascar Island is known for all things endemic and about 80% of its 12,000 plant species are endemic, including six of the world's eight species of baobab trees. Asian rainforests are smaller than those of South America and Africa. But there are still some extensive rainforests in India, Indochinan countries, Borneo Island and Indonesia. Some more remarkable plants are blooms, carnivorous pitcher plants, and Rafflesia flowers - the world's largest flowers, which are endemic to Asia. In Oceania, tropical rainforests are only found in New Guinea, northern Australia, and some Pacific Islands. (New Zealand's rainforests are temperate). In New Guinea, there are tropical rainforests covering about 172,000 square kilometres of land. They contain many mosses, aleocarp trees, laurels, oaks and many more kinds of plants. In Australia, there are some 20,000 species of vascular plants, most of which are found in tropical rainforests. There are many ancient hardwood species, about 400 species of ferns, and about 900 species of eucalypt trees (albeit most of Eucalypts do not live in rainforests, but woodlands).